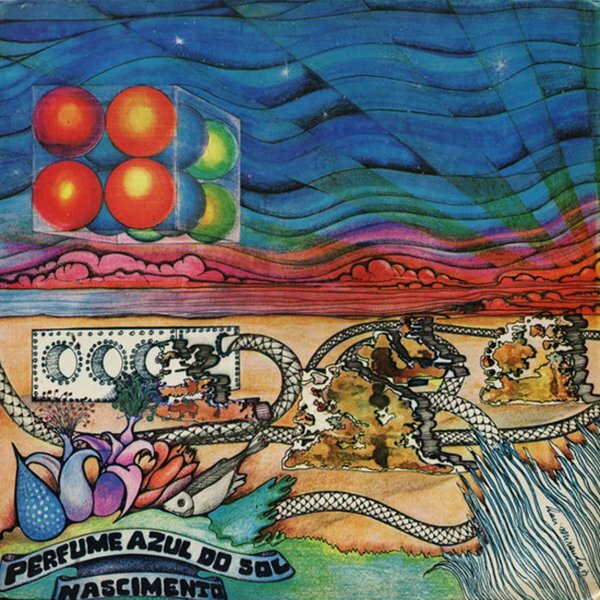 That's a trippy cover on the album, and the group are pretty darn trippy too – much more so than most of the popular Brazilian acts of the mid 70s – still working with a sound that hearkens back to the offbeat psych of the Tropicalia generation! We don't know much about these guys, but like some of the groundbreaking Brazilian groups of the end of the 60s, there's kind of an offbeat take on Anglo modes – the sweetness of Beatles harmonies criss-crossing with looser psych – all with a colorful vibe that really lives up to the image on the cover. The group's a quartet – with one female singer, who also plays piano – and Daniel Salinas helped the group with arrangements on a few tracks, most likely the funkier ones. Titles include "Equilibrio Total", "Pe De Ingazeira", "Canto Fundo", "A Ceia", "O Abraco Do Baiao", "Deusa Sombria", and "Calca Velha". © 1996-2019, Dusty Groove, Inc.